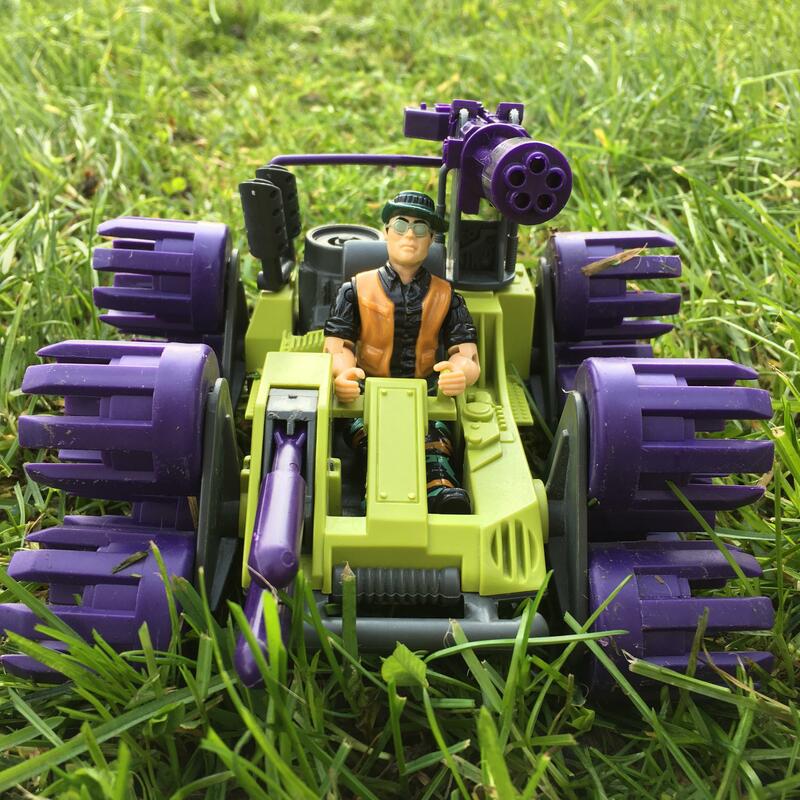 The Swampmasher is an interesting design, and a cool looking toy. When I look at it, I see kind of a middle ground of the 80s vehicles with lots of moving parts, and the single stamp vehicles of the 90s. Also, did you cut a strip of your lawn for this photo? If so, A+ on the attention to detail. Looks good man! The Swampsmasher has to be one of the weirdest vehicles in the entire line. It's cool though, especially that big gatling gun, oddly I think it seems like a better Cobra vehicle with those colors. The Swampmasher could really have used a repaint.